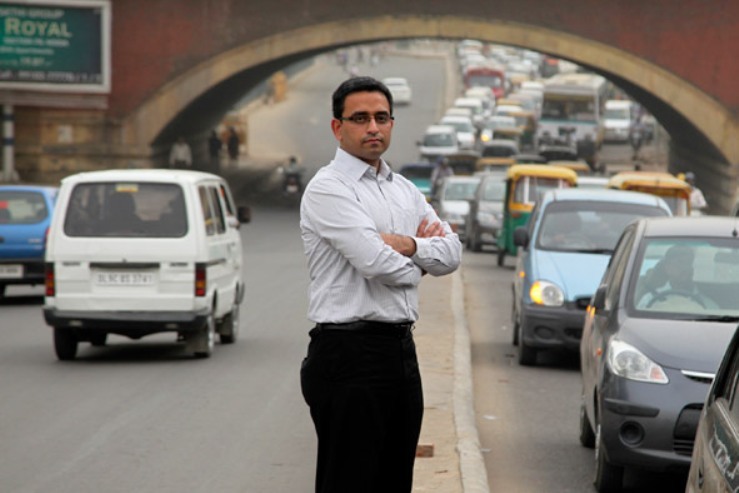 “We have the dubious distinction of being World Number One in road accident deaths,” says Tewari, who studied this pervasive and distributed problem in the months following his family’s loss. He talked to doctors, police officers, emergency services and others, and learnt much about the ‘chain of survival’ following a road accident. He unearthed some startling facts. For example, 80% of accident victims don’t receive any medical care within the crucial ‘Golden Hour’ — the immediate period following a traumatic injury when there is the greatest chance to prevent death with prompt treatment. Depending on the injury, this window ranges from a few minutes to several hours. But professional help rarely arrives on time. Delhi, home to 16 million, had only 35 fully-equipped public ambulances in 2008. 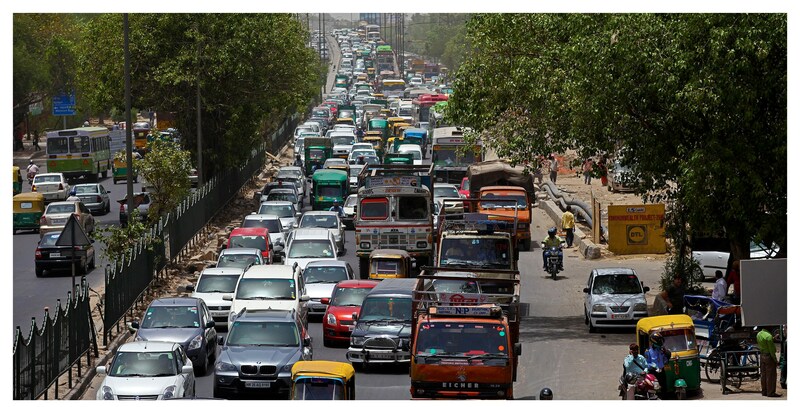 In any case, heavy city traffic inhibits rapid movement. Meanwhile, most bystanders hesitate to help either not knowing what to do or fearing legal hassles if they did. By default, police become the first responders, but Tewari found that they too are not trained to provide even basic first-aid. With so many bodies in motion, some collisions were inevitable. The challenge was to reduce their incidence as much as possible — and find decentralised ways to help victims. “The death toll from road accidents is higher than any other epidemic grabbing headlines today. Beyond the grief and loss that victims’ families must suffer, the economic impact of road fatalities is staggering. One estimate puts the annual loss at an astounding 2.7% of GDP,” Tewari says. An epidemic calls for aggressive and well orchestrated counter measures. So the grief-stricken young man set out to tackle this national emergency. In February 2008, while still holding a busy job, Tewari set up the SaveLIFE Foundation (www.savelifefoundation.org), a non-profit to enable bystander care, or community driven emergency response, until more professional help arrives. SaveLIFE trains police officers and road users to give emergency care to road accident victims. This includes the basics of trauma management, cardiopulmonary resuscitation (CPR), control of bleeding, and spinal immobilization. By mid 2012, SaveLIFE had trained over 3,500 police officers in Delhi, Uttar Pradesh and Maharashtra in basic trauma care skills. Such training has now been introduced for all recruits at the Delhi Police Training College. It will soon be rolled out to other Indian metros and states. 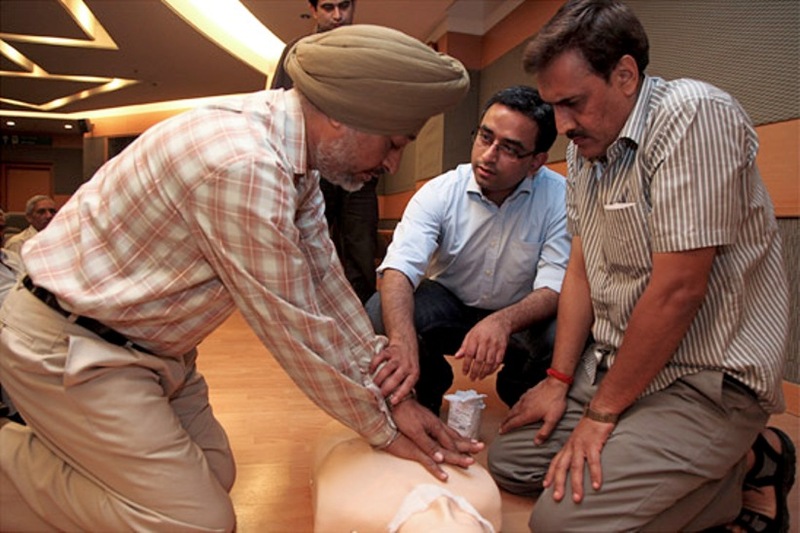 SaveLIFE’s original plan was to train 10,000 registered volunteers in metro Delhi, including shopkeepers and office workers, so that they could offer “bystander care”. When that proved too demanding, the foundation opted to train volunteers mounted on motorcycles – creating India’s pioneering first-responder service on wheels for road accident victims. This involves 45 motorcyclists equipped with trauma kits and safety gear. They are linked by mobile phones coordinate with police and hospital staff. As first responders, they administer basic trauma care to stabilize the patient. Tewari’s efforts have earned him recognition at home and abroad. In 2010, he became a Young Laureate of the Rolex Awards for Enterprise – which led to worldwide acclaim. The following year, he quit his corporate job to become SaveLIFE’s full-time CEO. His training as a financial manager makes Tewari adopt a strategic approach to any challenge. So while intervening to save lives on India’s mean streets, he also tackles the technological and policy related aspects on parallel tracks. SaveLIFE is using the ubiquitous mobile phones to receive news of road accidents and to dispatch the nearest trained volunteer. It’s akin to a dial-an-angel service. Already, many lives have been saved this way. In the long term, however, Tewari wants to enable all road users to help those in need. The foundation is pushing for a “Good Samaritan” law –so that people acting in good faith to assist victims are protected by law, and are not entangled in tedious legal procedures later. On another front, SaveLIFE is trying to simplify hospital procedures. Indian doctors tend to take care of medico-legal formalities before attending to emergency victims. They worry that they will be made party to court cases if victims die. “We must protect doctors so they can make every possible effort to save victims as soon as they enter the trauma center,” says Tewari. Clearly, the chain of survival needs streamlining at all stages. A long term goal is road accidents prevention. This too is being pursued at policy, regulatory and community levels. Education about the dangers of speeding and not wearing helmets or seat belts needs to start at the school level, Tewari feels. “Teenagers in the United States watch graphic videos of dead road accident victims who had been driving drunk or speeding,” he says. SaveLIFE’s successful community-based model has drawn interest from overseas. Tewari wants to have a robust model that others can adapt. “Our objective is to make the rural and urban models highly replicable, to document them well and then to export them to the rest of India, the rest of Asia and to Africa,” he says. Such help is very much needed. According to the World Health Organisation (WHO), approximately 1.3 million people die each year on the world’s roads – which means an average 3,600 deaths everyday. Many more people, between 20 and 50 million, sustain injuries that lead to temporary or permanent disability, loss of income and productivity. Pedestrians, cyclists and motorcyclists are especially at risk, making up almost half of those killed. WHO now considers road traffic injuries an important public health problem, and has declared a Decade of Action for Road Safety, 2011-2020. It’s not simply the number of vehicles and people on the roads, but inadequacies in road design, law enforcement and emergency services that lead to a higher death toll. This entry was posted in Communicating Development, Disaster, Innovation, Public health, Road Safety, South Asia and tagged control of bleeding, Decade of Action for Road Safety, Delhi, Global Status Report on Road Safety, Golden Hour, Maharashtra, Piyush Tewari, Rolex Awards for Enterprise, SaveLIFE Foundation, Shivam Bajpai, trauma management, Uttar Pradesh, WHO, World Health Organisation. Bookmark the permalink.